The Battle of Messines began on 7 June 1917 when the British Second Army under the command of General Herbert Plumer launched an offensive near the village of Mesen (Messines) in West Flanders, Belgium. 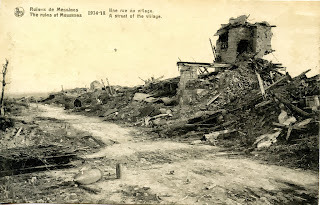 The target of the offensive was a ridge running north from Messines village past Wytschaete village which created a natural stronghold southeast of Ypres. 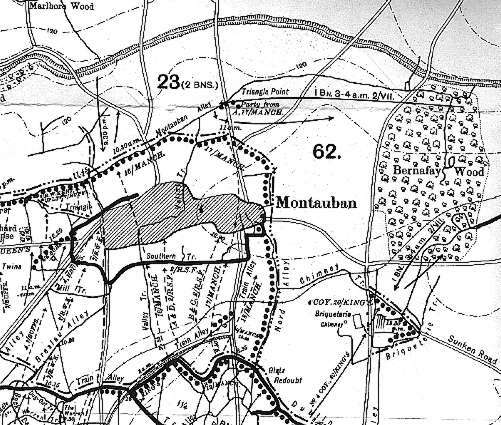 One of the key features of the battle was the detonation of 19 mines immediately prior to the infantry assault, a tactic which disrupted German defences and allowed the advancing troops to secure their objectives in rapid fashion. 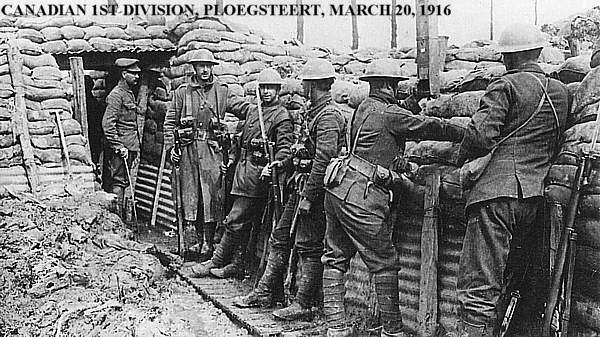 The attack was also a prelude to the much larger Third Battle of Ypres, known as Passchendaele, which began on 11 July 1917. 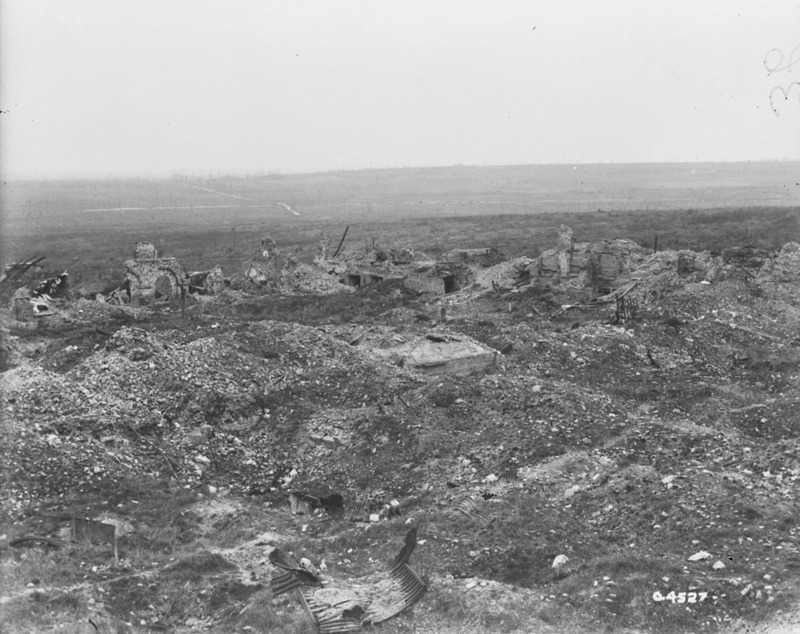 The New Zealand Battle Memorial for 1917 on the Messines Ridge taken September 29, 1918 by the 30th, 31st and 34th Divisions. Returning with my students in 2013. The Messines Ridge (New Zealand) Memorial to the Missing is situated within Messines Ridge British Cemetery about five miles south of Ypres. 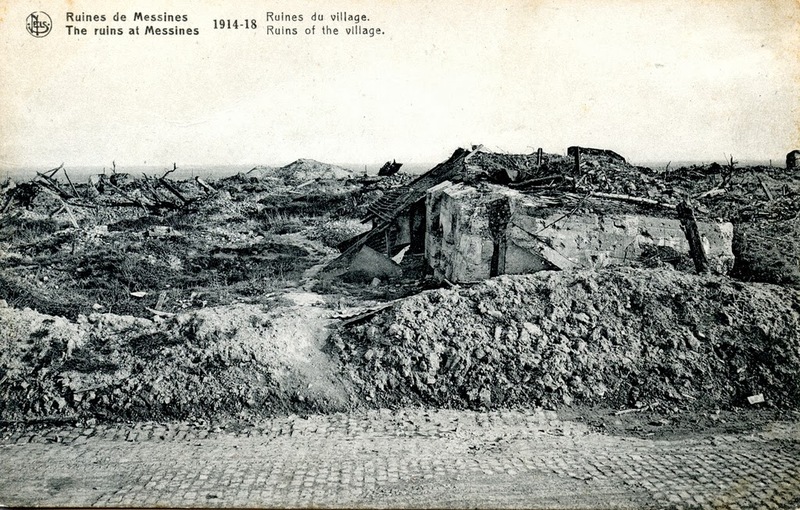 Messines was considered a strong strategic position, not only from its height above the plain below, but from the extensive system of cellars under the convent known as the 'Institution Royale'. 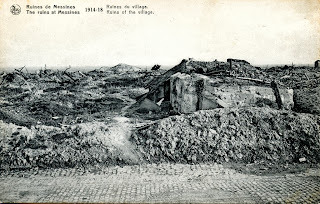 The village was taken from the 1st Cavalry Division by the German 26th Division on 31 October-1 November 1914. An attack by French troops on 6 -7 November was unsuccessful and it was not until the Battle of Messines on 7 June 1917 that it was retaken by the New Zealand Division. On 10-11 April 1918, the village fell into German hands once more after a stubborn defence by the South African Brigade, but was retaken for the last time on 28-29 September 1918. This monument stands within Messines Ridge British Cemetery and commemorates over 800 soldiers of the New Zealand Expeditionary Force who died in or near Messines in 1917 and 1918 and who have no known grave. It is one of seven memorials in France and Belgium to those New Zealand soldiers who died on the Western Front and whose graves are not known all of which are found in cemeteries chosen as appropriate to the fighting in which the men died. This is a small sample of the video clips showing views of the NZ Memorial, Messines Ridge, Belgium taken from the Video History Today database. 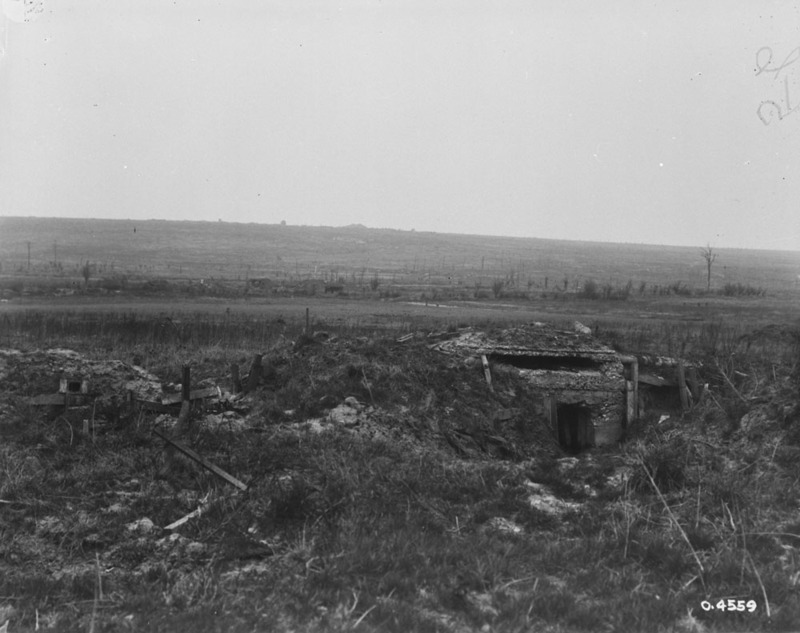 Overlooking the German positions taken by NZ troops to reach the ridge. German pillboxes taken that remain on either side of the monument. For most conspicuous bravery and determination when with attacking troops, which came under heavy fire and were checked. Although slightly wounded, Lance Corporal Frickleton dashed forward at the head of his section, rushed through a barrage and personally destroyed with bombs an enemy machine gun and crew, which were causing heavy casualties. He then attacked the second gun, killing the whole of the crew of twelve. By the destruction of these two guns he undoubtedly saved his own and other units from very severe casualties and his magnificent courage and gallantry ensured the capture of the objective. During the consolidation of the position he suffered a second severe wound. He set, throughout, a great example of heroism. —London Gazette, No. 30215, 2 August 1917. Frickleton was wounded in the arm and hip and was badly gassed, which would affect his health for the remainder of his life. Evacuated to England for medical treatment, he was presented with his VC by King George V on 17 September 1917, in a ceremony at Glasgow. By then he was an acting sergeant, which was confirmed later that year. After a period of further hospitalisation, he was selected for and underwent officer training. He was commissioned as a second lieutenant in March 1918 and returned to the Rifle Brigade. However, his health problems persisted and he was repatriated to New Zealand in June 1918. He was accorded a hero's welcome and a reception was held at the Auckland Town Hall in his honour. He would spend the remainder of the year under medical care. He was discharged from the NZEF in December 1918. Standing inside the crypt where Hitler had been billeted. The names are shown on the walls to the right and left of the central inscription. The body of a soldier thought to have been killed on June 7, 1917, during the New Zealand Division's capture of Messines and discovered during excavations of a pipeline in Messines in April 2012 is reburied February 25, 2013. His coffin was draped with the New Zealand flag and a soldier's hat as a guard of honour from Ypres Barracks fired three volleys as the Last Post and Reveille played followed by the New Zealand national anthem, sung by Kiwi soprano Carleen Ebbs. A metal shoulder badge NZR (New Zealand Rifles), a belt buckle and gas iodine capsules were found close to his remains. 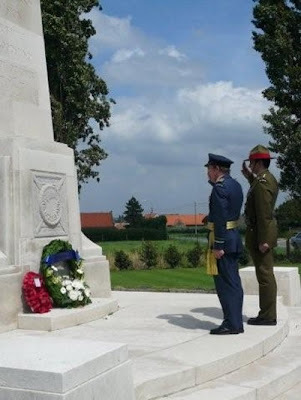 The NZ Memorial in Longueval France is dedicated to the New Zealand Division who took part in the first Battle of the Somme in 1916. The NZ Memorial is located in isolation in the middle of fields to the north of the village of Longueval and west of Flers. A long contemplative drive to the memorial on a beautiful sunny summer day. 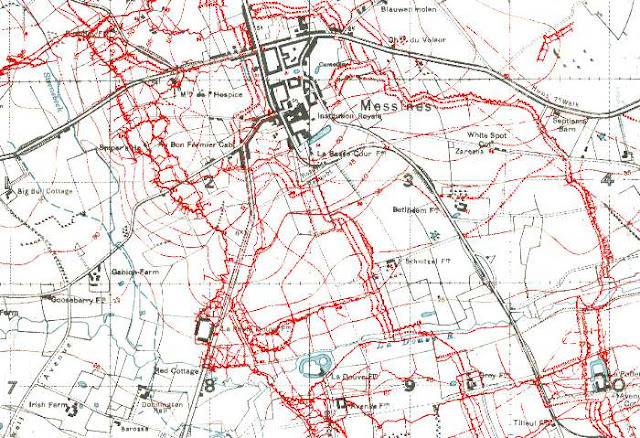 This stands on what had been known as Switch Trench on the junction of the present roads from Longueval to Flers and to Courcelette between Delville and High Woods. 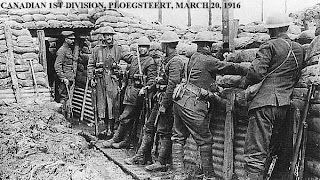 It commemorates the attack which started on September 15, 1916 and lasted 23 days. It takes the usual New Zealand form of a column standing on a projecting base in which are four panels. On the front of the column itself are engraved the words "In Honour of the men of the New Zealand Division. 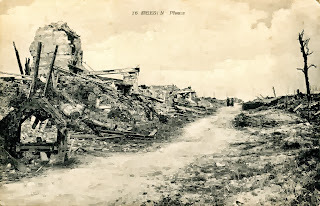 First Battle of the Somme, 1916" and the same is engraved in French at the back of the column. Like the obelisks at Messines and 's-Graventafel it is made of Nebrasina stone from Italy with the inscription ‘From the Uttermost Ends of the Earth’ on a plinth at their base as well as a badge incorporating a fern leaf superimposed on crossed taiaha with a frame of Maori carving surrounding the words "New Zealand". On the back panel are engraved the words "New Zealand Division, Auckland, Wellington, Canterbury, Otago." 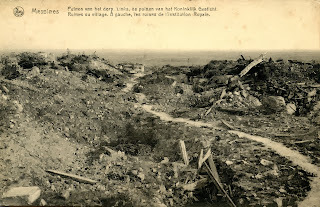 On one side panel is engraved the following sentence: "The New Zealand Division, after gaining this position as their first objective, launched from it the successful attack on Flers, 15th September, 1916" and these words are reproduced in French on the other side panel. A moving song by Alan Brydons about the pipers in The Great War which was adopted as the anthem for the fund raising campaign for this memorial performed by Scocha from the album Gie'd Sum Wellie. Heading towards the New Zealand Monument on the left is the remains of this German dugout. Signposts to hell- the left directing one to Langemark, the other to Passchendaele. This memorial was unveiled by the New Zealand High Commissioner in London, Sir James Allen, on August 2, 1924 and honours the New Zealand contribution at Passchendaele in 1917 referring specifically to the October 4, 1917 Battle of Broodseinde. On October 12, within two hours over 2,800 New Zealand soldiers were killed, wounded or listed as missing - the most disastrous day in New Zealand’s military history. Given that New Zealand’s population at that time was only around one million, this was a huge number and possibly goes some way to explain why New Zealand alone chose its own memorial rather than have its missing commemorated with those from the other Dominions on the Menin Gate. The memorials here and at Messines and Longueval are obelisks of Nebrasina stone from Italy with the inscription ‘From the Uttermost Ends of the Earth’ on a plinth at their base as well as a badge incorporating a fern leaf superimposed on crossed taiaha with a frame of Maori carving. VCDF Air Marshall David Bamfield and Captain Matthew Jahnke laying wreaths at the memorial on July 13, 2007. I am all right, mother. Cheerio. I was cycling in the suburbs of the small village of Richebourg-l'Avoué with the light descending and having found no place for the night when I came across this rather non-descript cemetery with a fascinating story inside. There are over 450 buried here, over half of whom remain unidentified. 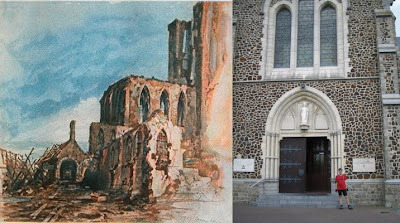 I noticed in the memorial book a number of New Zealanders had come here to tis rather non-descript cemetery and discovered it was to pay homage to this soldier- Anthony Wilding, the co-World No. 1 in 1911 and 1912 and the World No. 1 player in 1913. In fact, it wasn't until Pete Sampras that his record across multiple Wimbledon wins in doubles, singles and mixed doubles was broken. Between 1907 and 1909 he helped the Australasian team win the Davis Cup, and he won his second Australian Open in 1909, the same year he qualified as a Barrister and Solicitor at the Supreme Court of New Zealand. 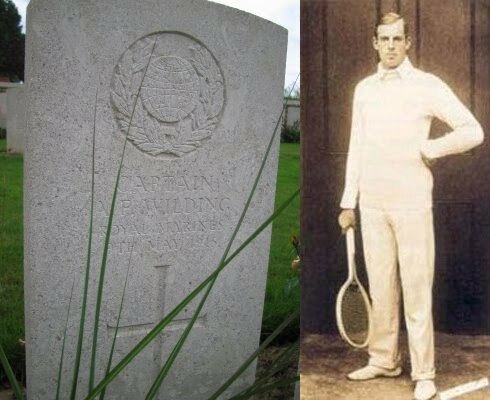 Focusing on his tennis game, he then won the Wimbledon singles title for four straight years between 1910 and 1913 and narrowly missed winning his fifth in a row, losing in the 1914 finals to Norman Brookes. In addition, he won four doubles titles at Wimbledon. In 1912 at the Summer Olympics in Stockholm he won a bronze medal in the men's indoor singles for Australasia. In 1914, he returned to Davis Cup play, leading the Australasian team to another championship. 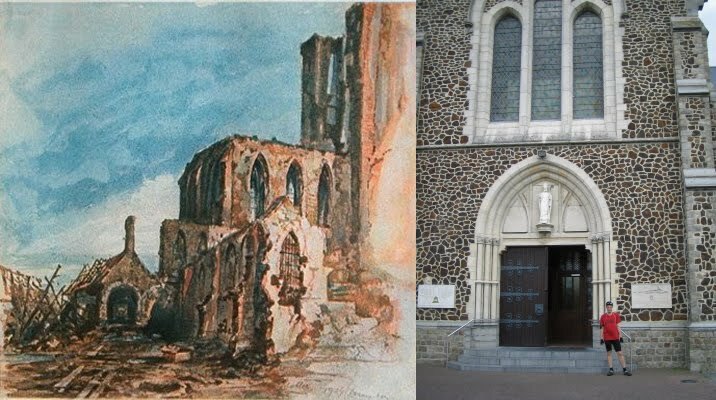 At the outbreak of World War I on the advice of Winston Churchill, Tony Wilding joined the Royal Marines, serving as a Captain with the Armoured Car Division in the battlefields of France. In his last letter dated 8 May he wrote "For really the first time in seven and a half months I have a job on hand which is likely to end in gun, I, and the whole outfit being blown to hell. However if we succeed we will help our infantry no end." The next day, 9 May, he was killed in action at 16.45 in the afternoon during the Battle of Aubers Ridge at Neuve-Chapelle when a shell exploded on the roof of the dug-out he was sheltering in. He was buried the next day at the front but was later reinterred at the Rue-des-Berceaux Military Cemetery in Richebourg-L'Avoue, Pas-de-Calais, France. He had been dating and was about to marry Broadway star Maxine Elliott. In 1978, he was inducted into the International Tennis Hall of Fame. Wilding Park, the principal venue for tennis in Christchurch, New Zealand, was named after his father, Frederick, but in the public perception became associated with him.The New Zealand Post issued a stamp of Anthony Wilding in 1992 as part of the Health Stamps series to support children with emotional and behavioural problems. Westhof Farm is set on an incline and was used by the New Zealand Division as its headquarters in May and June 1917. Five German graves in total stand next to those of the Commonwealth. The cemetery was founded by enclosing a number of small cemeteries made by individual regiments. The grounds were established in December 1914 as the "Somerset Light Infantry Cemetery", expanding in April 1915 when the "Bucks Cemetery" was started by the Oxfordshire and Buckinghamshire Light Infantry. A further cemetery was established by the Gloucesters and the Loyal North Lancashire regiments in October 1915, named "Canadian Cemetery, Strand" after its 28 Canadian graves and the nearby Strand trench. 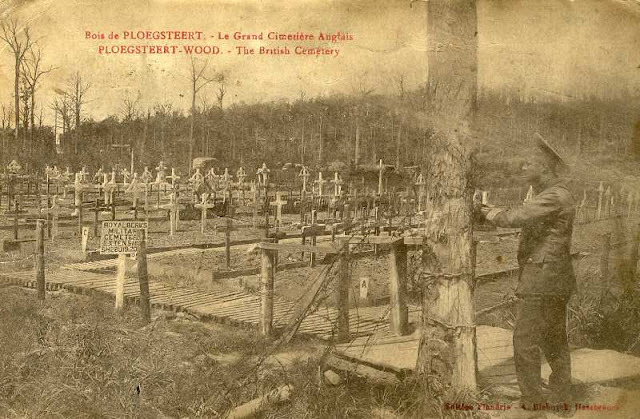 The cemetery was used by New Zealanders in 1917. 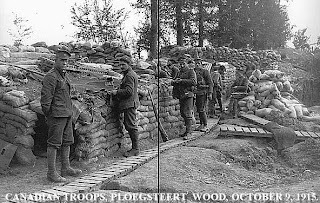 It fell into German hands on 10 April 1918 and remained occupied until 29 September, when the Hundred Days Offensive swept fighting out of the Salient.